This particularly caught my eye because a couple of days ago, the New York Times reported on a recent study that suggests the two most important qualities to affect the longevity of a relationship are generosity and kindness. 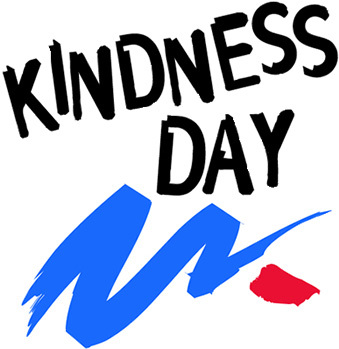 So, while you may want to perform a random act of kindness or two to celebrate the day, being kind on a more regular basis could have a big ol’ karma kick-back for you and your special someone. Yeah, so this is who I hung out with last night. Director David Cronenberg. Robert Pattinson. And David Carr from the New York Times. I bought tickets to the event months ago…before Kristen Stewart happened. It was billed as “A Conversation about Cosmopolis,” which opens in select cities on Friday. I worried the interview would be hijacked by the scandal. 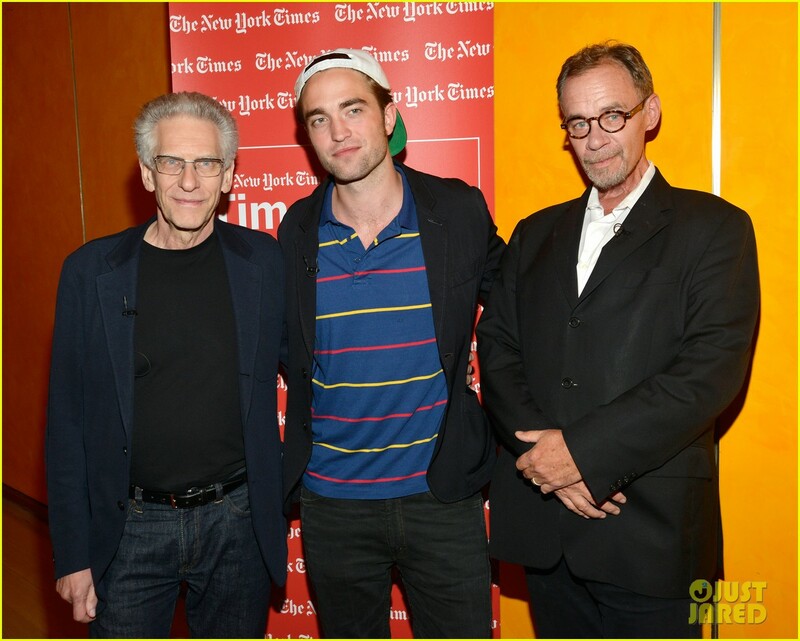 But when the three sat down in The Times Center theatre in Times Square, it was Cosmopolis from beginning to end. Lots of clips. Lots of conversation. Both surprisingly funny. There was one moment when interviewer David Carr tried to use the Stewart/Pattinson scandal to draw a parallel, and the audience literally began to boo and hiss. Shouts of “Next question” and “Move along” filled the room. Robert was in good hands. You’ve heard the phrase “he had a face made for radio”? Perhaps Deborah Solomon, who writes a weekly interview column for the “New York Times Magazine”, has a personality made for print. 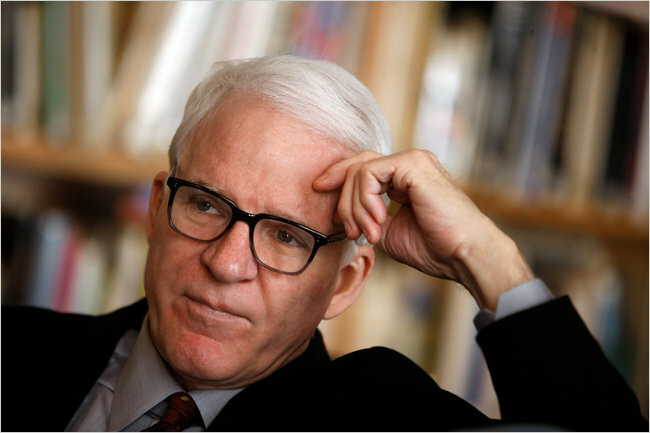 Solomon interviewed Steve Martin at the 92nd Street Y in New York City on Monday night during a stop on the promotional tour for his new novel An Object of Beauty. Steve’s new work of fiction takes place in the art world, and Solomon spent the bulk of the interview talking to him about just that. Art. And specific artists. Steve is an avid art collector, and Solomon writes art criticism, so the two of them were having a bang up good time. The problem? The 900 people in attendance were not. Solomon said the Y didn’t tell her what they wanted from the interview. But any good facilitator is going to know her audience and gear her questions to their interests and motivations. Solomon’s mistake? She simply had the conversation with Steve that interested her. Maybe. Or maybe they are respecting their audience, who buys memberships to their yearly lecture series, and will be there long after Solomon is gone. Point of interest — when I saw Steve Martin on the 92nd Street Y calendar, I was at first anxious to attend. But when I noted that Deborah Solomon was conducting the interview, I decided to skip it. I saw the two appear together at the Times Center a couple of years ago. Her interview there angered the audience in a very similar fashion. 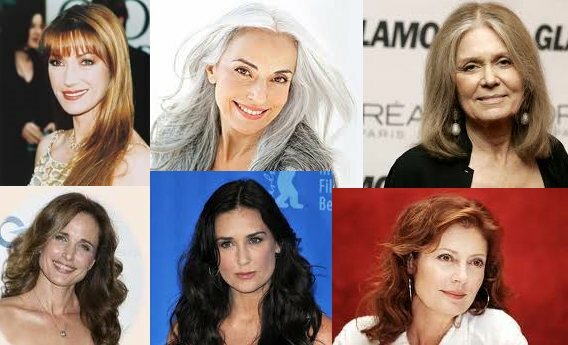 Should women of a ‘certain age’ have long hair? So does Dominique Browning. She’s a writer and former editor-in-chief of House and Garden. At the age of 55, she’s sporting a rather impressive mane of long gray hair that reaches half-way down her back. That mane has gotten her a lot of flack from her family, friends, and professional colleagues, and in a recent New York Times article, she posed possible reasons why. She’s acting out. Living in the 70’s. Being high maintenance. Trying to attract the fellas. And she gladly owns up to all of them. While I understand part of the issue really lies with her friends and family — anytime someone doesn’t conform, we question our own decisions — I have to wonder why longer hair isn’t more popular with women in their middle years in the first place. I understand why they cut their hair when they have children. It’s easier to maintain short, and it keeps it out of reach of sticky, eager baby fingers. But once the kids are older, and your skin starts to age and sag a bit, isn’t longer hair a nice distraction from the passing years? I’m not suggesting you hide behind your hair…just give people something else pretty to gaze upon. We do it all the time with clothing and jewelry. Isn’t hair just another way to accessorize our look? 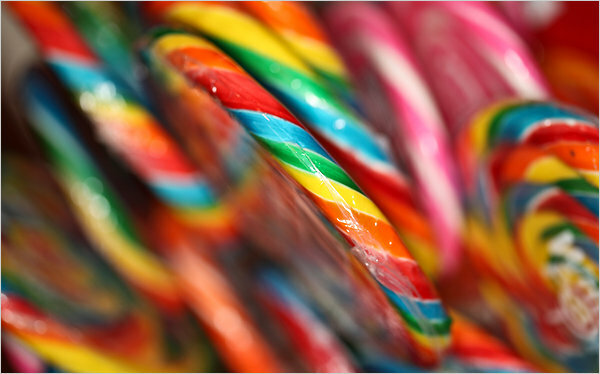 When I ventured out mid-day, I was greeted by rain, high winds…and visions of sugarplums, dancing in my head. ‘Cause they’re good for me. Her name is Rachel Johnson. She’s my favorite doctor of all time. Dr. Johnson goes on to say that candy provides only 6 percent of the added sugar in the American diet, while sweet drinks and juice supply 46 percent. I’ve been warning folks off of fruit juice for years. All it took was reading the juice carton label one time; it totally killed my taste for the stuff. If I’m gonna get that much sugar, I might as well enjoy myself and down Twizzlers at the movie theater. And I have — oh, you know it. And it turns out…it’s not that bad. Today, The Sticky Egg celebrates its one-year anniversary. I have posted something every day since I first ‘turned on the lights’ August 20th of last year. Looking back, it’s kinda fun to remember why. 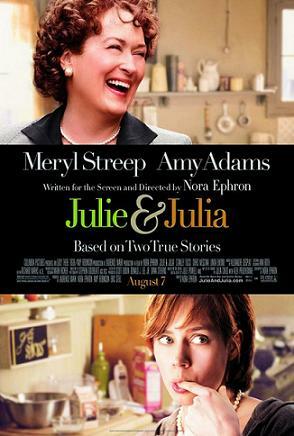 Earlier that same month, the movie “Julie & Julia” opened to rave reviews. If you didn’t see it, it told the story of a New Yorker named Julie who, frustrated with her dead-end temp job, decides to cook all 524 recipes in Julia Childs’ “Mastering the Art of French Cooking” in one year and blog about it. Julie’s quest and Julia’s life story are artfully intertwined in the movie, which earned Meryl Streep yet another Oscar nomination. I saw the film opening weekend (shock, shock), and as I walked out, I overheard many people planning to cook fabulous meals the movie had inspired. I just wanted to write a blog. After a year of writing The Sticky Egg, I too have faithful followers, and I look forward to their visits and comments. I also have learned the discipline that a daily writing deadline requires — even one that is self-imposed — and have really come to enjoy it. In fact, if I didn’t write a little something-something every day, I would miss it. So, The Egg continues into year two and beyond. And who knows? That book deal could be just around the corner. But back off, Meryl — I’m playing myself in the movie.